Allergy relief is on the minds of many allergy sufferers right now. Having allergies can be downright miserable! However, you might find your self asking, “Is it allergies that causing me or my child to be sick?” Oftentimes, the symptoms associated with allergies, the common cold, and sinus issues are similar. With seasonal allergies in full swing and continuing until the first freeze of the winter, you might be looking for some tips on how to relieve allergies and steps you can take to fix those allergies. But before jumping into allergy treatment, you first need to determine the problem and the best path of action. We recommend a three-step process. 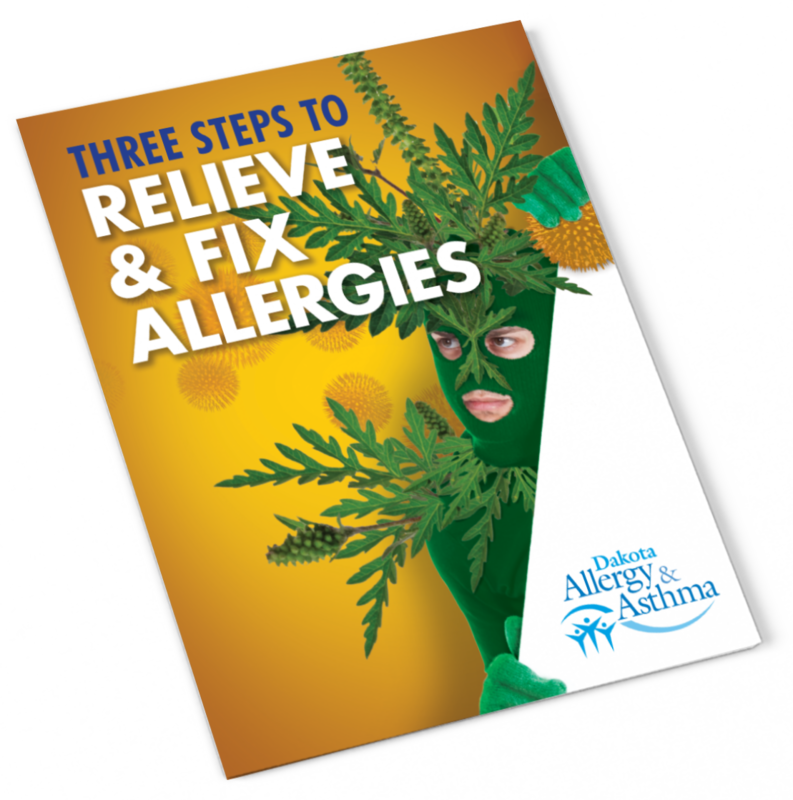 If you or your child are one of the millions of American’s suffering from allergies, this download could be a great first step in finding relief for your allergies.